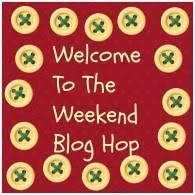 It's seafood week this week and it's a great opportunity to try something a bit different. 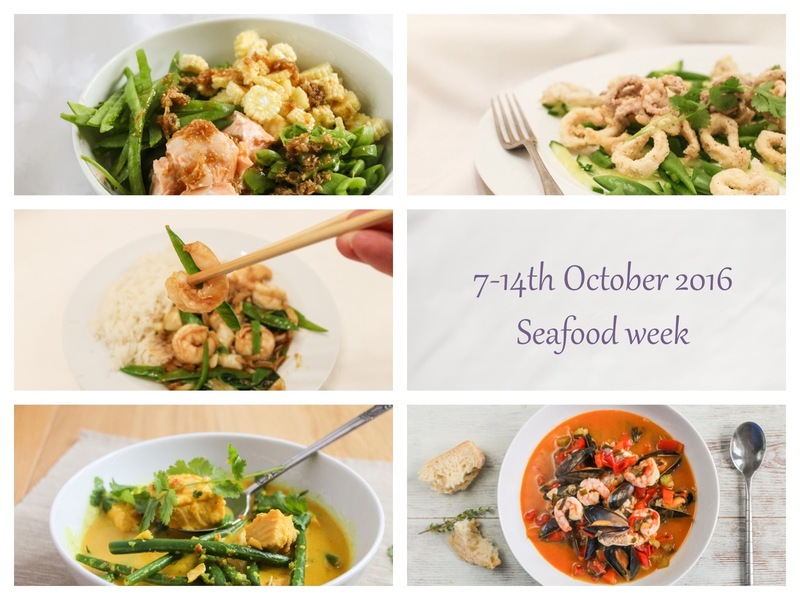 There are some special offers and events going on around the country, take a look at the Seafood Week website to find out more. 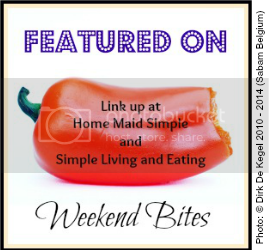 In the meantime, here are a few great recipes to get you going. 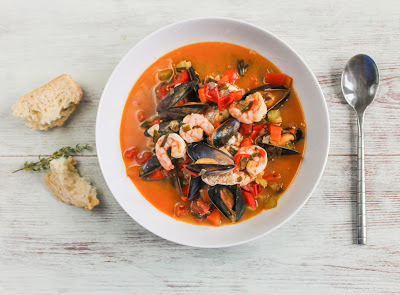 This fish soup was inspired by a trip to my local supermarket where there was a fantastic and cheap array of fish on display including gurnard and mussels. 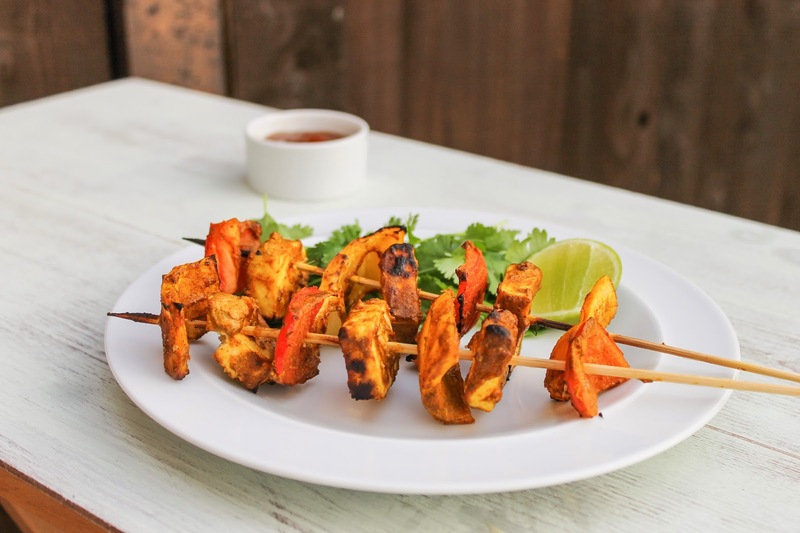 It was so delicious, healthy and cheap to make. 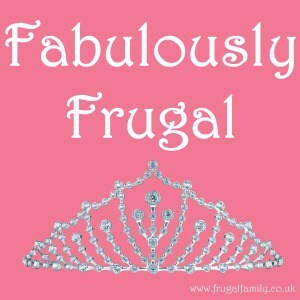 My son and I eat a lot of salmon because it's tasty, easy to cook and so versatile. 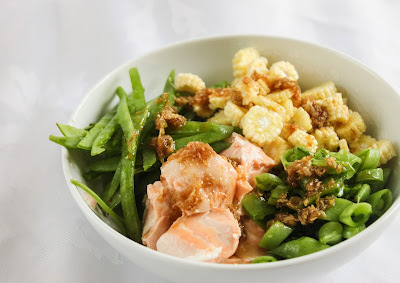 I really like this Salmon Rice bowl because it's simple, fresh and healthy. 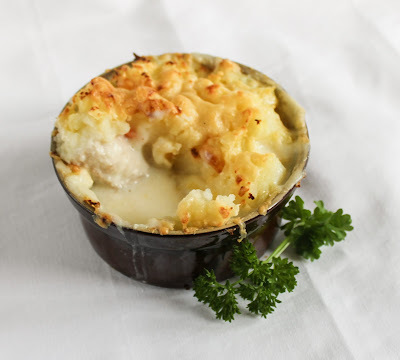 Fish pie is a classic British dish and this beautiful version has thrifty basa and smoked haddock but all the flavour. 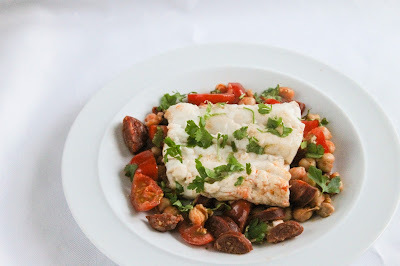 Hake is really good value and is so loved in Spain which is why I came up with this recipe to combine Hake with Chorizo. 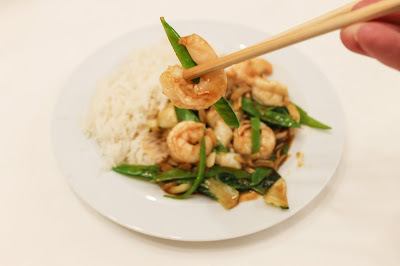 I always order a prawn dish if I'm having Chinese food and prawns butterflied in ginger sauce are stunning. 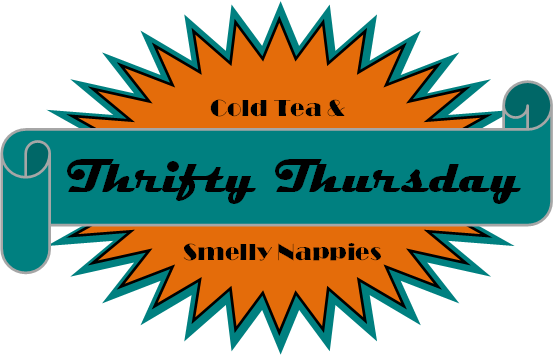 Did I mention Salmon was versatile? 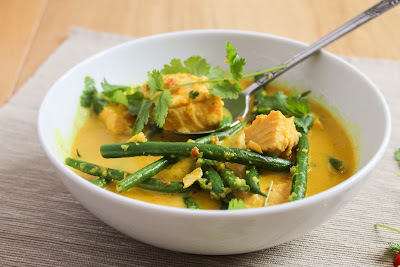 The stronger flavour over white fish is great to stand up to spices in a yellow curry. 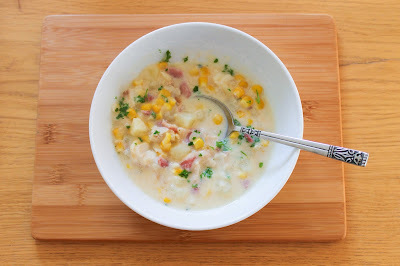 Fish is also great with milder flavours though in a chowder (one of my son's favourite foods). 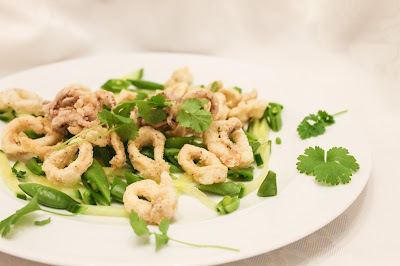 Squid is another great seafood; so cheap to buy and easy to get frozen, it just needs care not to overcook and it's delicious. Mussels are simple, cheap and not as difficult to cook as you might imagine. 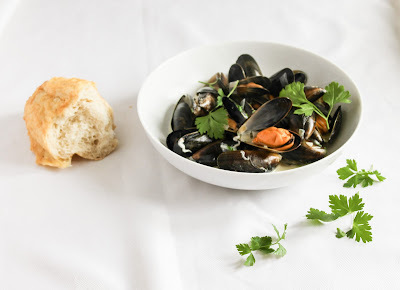 This is a classic dish of mussels with a white wine and cream sauce. 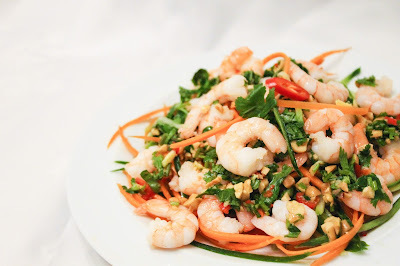 And last but not least, I always have cooked prawns in my freezer because they are great to defrost and have in a salad like this prawn salad with Asian style pesto.